Fashion month has given us a lot of feelings with designs inspired by retro reincarnation, pastels with strange prints of childhood toys, and literal human children as accessories. But there is one trend reminiscent of your most cringe-worthy yearbook photo and it must be stopped before it gains any headway or a sliver of social acceptance: crimped hair. No matter how infallible the brand, the design house, the fashion icon — this cannot be a thing again. Make. It. Die. But it won’t, suggests Stylite, as we weep into our hot-off-the-press fashion magazines boasting runways responsible for this atrocity. '70s-style crimping turned heads (burned heads?) most recently at recently at the Preen show, but it doesn’t end there. “Cara Delevingne took it for a spin, the Stella McCartney and Reem Acra shows featured it last year,” Stylite adds, “and new crimped hair beauty tutorials still show up on YouTube for reasons unknown.” For unknown reasons, indeed. Last fall, crimped strands pulled into otherwise modest ponytails made their debut on Stella McCartney’s runway, per the vision of stylist Eugene Souleiman. Vogue dubbed it a look with “a little bit of good-bad taste.” I’d argue, however, that crimping is the slippery slope that keeps sliding until all you're left with is a full-on mane of charred locks. We’ve worked hard to restore our hair from that kind of damage since middle school. 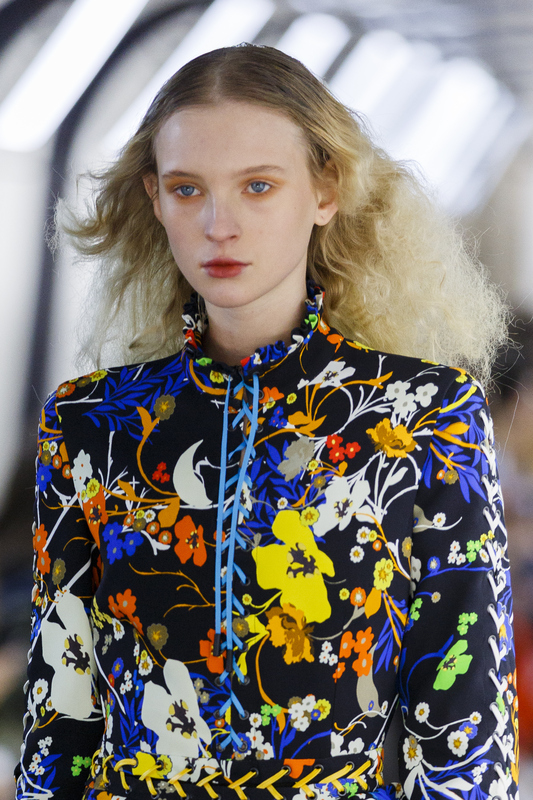 Get your crimping irons out of our faces, Fashion Month. Enough is enough. We draw the line here.